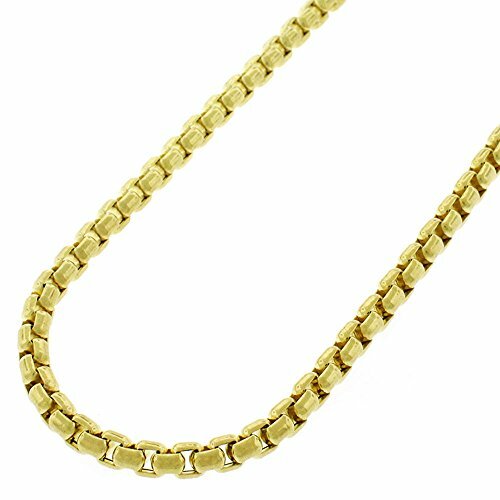 [ CHAIN INFO ] 3mm wide, Sizes 20" - 24". Weighs approx. 0.53 grams per inch. Crafted from Pure 10k Yellow Gold, a Premium & Sturdy Metal. A High Polish Finish adds a Fine Luster & Sharp Touch. Features a Lobster Lock clasp for safety and security. Wear it alone or with your favorite pendant or charm. A great choice for Men & Women. Gift Packaging Included - Perfect for sending it as a gift!